This particle was recovered from a swab taken from an SF6 Breaker. 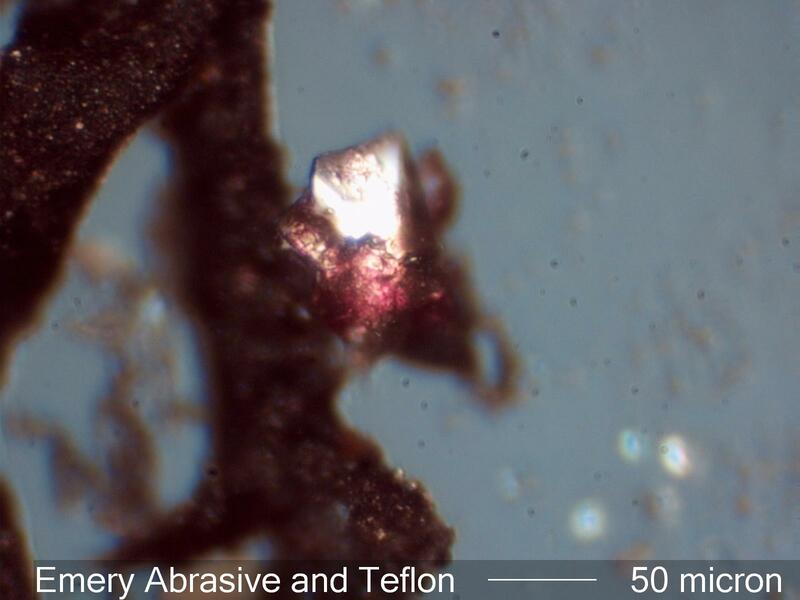 It is a fragment of emery with a residue of the red resin that held this particle to the abrasive pad. It became detached and scowered a large ribbon of Teflon from the surface of a Teflon guide. This ribbon of Teflon with attached wear metal surrounds the emery particle in this field of view. The large amount of abrasive debris left in this breaker resulted in a significant amount of abrasive wear to the Teflon surfaces in this breaker.